We continue our Pacific Northwest and the Summer of Riesling binge with Washington State's oldest winery, Chateau Ste. Michelle. The winery was founded in 1934 - that's getting an early post-Prohibition start - and is located northeast of Seattle, in Woodinville. Although the estate vineyards are located in the Puget Sound AVA; many of their wines are made from grapes harvested in the Columbia Valley AVA. 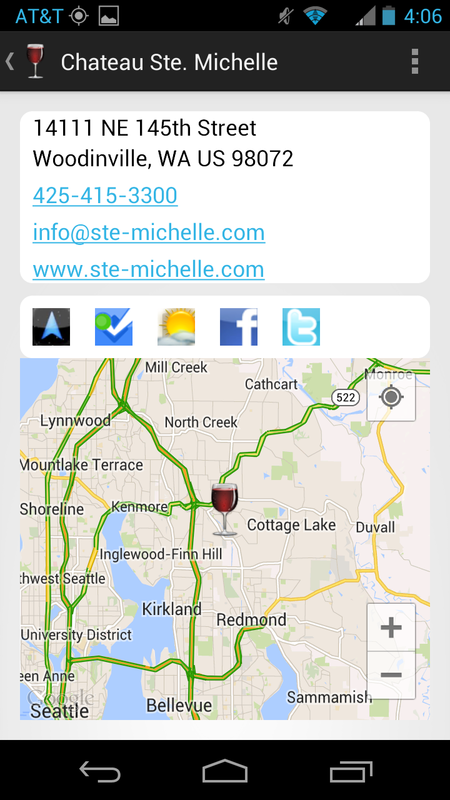 This is the largest AVA in the Evergreen State, accounting for "99% of wine grapes. (See the Washington Wine Commission for more facts on Washington wines.) Riesling is a major player in the area and benefits from the warm, sunny days and cool evening temperatures. And Chateau Ste. 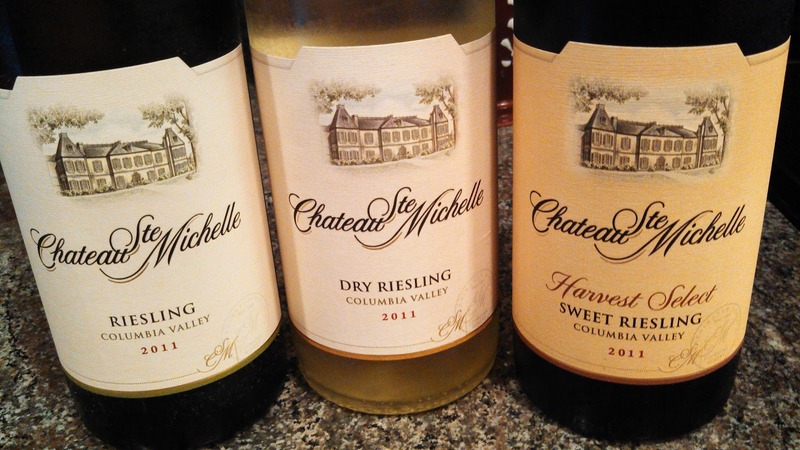 Michelle produces three versions of Riesling which the recently sent me: a 2011 Columbia Valley Dry Riesling, a 2011 Columbia Valley Riesling, and a 2011 Columbia Valley Harvest Select Sweet Riesling. I tasted these wines on multiple occasions over the weekend, and all are very nice; and every time I preferred the 2011 Harvest Select Sweet Riesling. This wine possesses a strong peach profile - both in the aroma and flavor - but the wine's acidity has no problems balancing the 5.2% R.S. At times this wine reminded me of several local Petit Mangseng wines I've tasted recently - refreshing even with the sugar. The Columbia Valley Riesling is made semi-dry at 2.2% R.S. and like the previous, the acidity had no problems balancing the sugar. In fact, I didn't even notice the sugar, just this time an apricot profile with the lemon-tart finish. And this wine tamed a couple spicy fish tacos. The Columbia Valley Dry Riesling is very clean, with more citrus flavors accompanied by the now familiar crisp acidic finish. Yet, this wine just didn't have the full flavor profile as the others. Not bad, but for my tastes, I seem to prefer a little more R.S. in my Riesling. All in all, a nice set of wine; cheers to Columbia Valley Riesling.